Home Watch of Arizona of Scottsdale, AZ, earns fifth-year accreditation from the NHWA! Home Watch of Arizona of Scottsdale, Arizona, has earned Accredited Member status from the NHWA for the fifth year. I always look forward to seeing John and Debbie Hay at our NHWA conferences. As a matter of fact, John and Debbie have attended all of our conferences since becoming accredited five years ago. They are active members, helping to set the Home Watch agenda in AZ. This past year, John served on our conference committee. John’s résumé is perfect for the Home Watch business. He graduated from Arizona State University with a business degree and a minor in real estate. He has spent the better part of his career in the real estate industry. 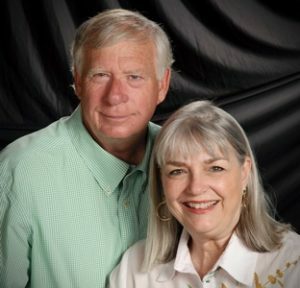 John has worked not only in sales, but also as a home builder, apartment owner, and real estate tax consultant. Debbie graduated from ASU with a nursing degree and has spent her career working for Scottsdale Healthcare in many different roles. She is working with John on a part-time basis. John and Debbie also own a vacation home in Canada. Because many of John’s real estate clients over the years have been seasonal homeowners, and with his knowledge of local real estate and his experience as a seasonal homeowner himself, John saw the need for a trustworthy service in Scottsdale. So, Home Watch of Arizona became a natural way to serve clients better and to build a business for the Hay family’s future. John has since built Home Watch of Arizona into one of the top Home Watch companies in the Scottsdale area. 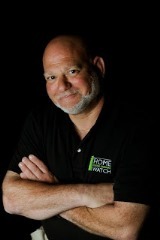 Home Watch of Arizona serves Phoenix, Scottsdale, Paradise Valley, Fountain Hills, Carefree, and Cave Creek. John can be reached at (480) 363-5240 or john@HomeWatchofArizona.com. Learn more at www.HomeWatchofArizona.com.